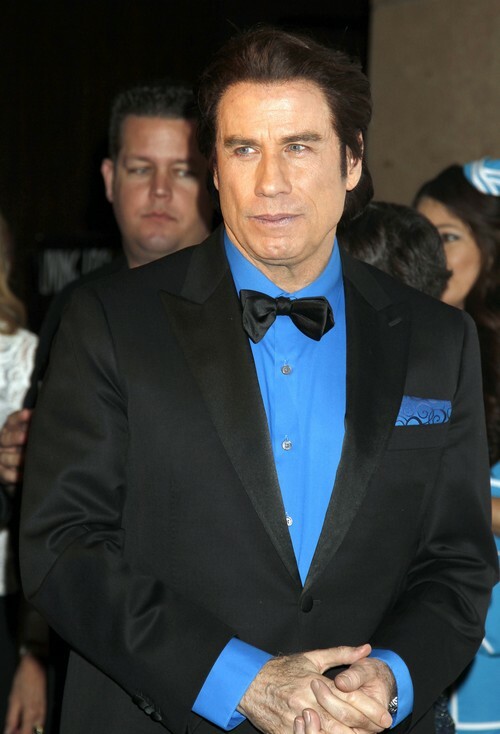 John Travolta waxed lyrical about Scientology during an interview with Good Morning America on Monday. He defended the ‘religion’ and called it a “beautiful thing” that “saved lives”. The interview follows on the heels of HBO’s controversial documentary, “Going Clear: Scientology and The Prison of Belief”, in which the cult-like religion is dissected like a frog on a serial killer’s table. And that’s how you sell ice to an Eskimo! The interview reeks of ‘damage control’. Travolta is the Botox-face of Scientology, and since there’s no infomercial channel for aspiring Scientologists, an interview on a nationally syndicated television show was the best and only option. Despite a crumbling face, people still adore “the man with the dimples and the baby-blue eyes”, plus Travolta isn’t nearly as insane as Tom Cruise. How many people did John Travolta recruit? I don’t know, but the idea sends chills down my spine. And they’re multiplying.